With Washington’s new ballpark due to open, Nationals’ management lobbied Major League Baseball to let the team to start the National League season on ESPN’s Sunday night game, March 30, 2008. 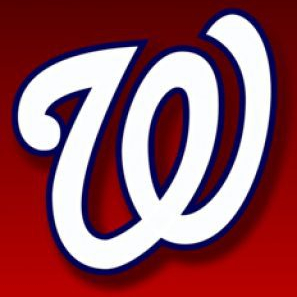 Despite the Nats’ dim prospects, MLB granted the request, putting Washington in the national spotlight for an opener for the first time since the Senators left for Texas after the 1971 season. The $611-million stadium on the banks of the Anacostia River in the Southeast quadrant of Washington, D.C., was paid for with tax dollars. Political opposition had nearly scuttled the deal — and the transfer of the Montreal Expos to Washington. All that was a distant memory by the gala opening. The gates opened at 3:37 p.m. for the scheduled 8:15 game start. Four F16s from the 121st fighter Squadron flew over the ballpark shortly before the first pitch. had arranged for free shuttle buses from the parking lots around old Robert F. Kennedy Stadium, about 10 minutes away, depending on traffic. The game, unsurprisingly, was a sellout, with 39,389 paying customers and about 3,500 guests and dignitaries, including President George W. Bush. The new stadium’s official seating capacity was 41,888. It featured a 4,500-square-foot, high definition, scoreboard above right-center field. The outfield fences down the lines were 336 to left and 335 to right, the same as RFK, but the gaps were not as deep, and dead center was 402 feet from home plate. Nats’ players were ecstatic to be somewhere other than RFK, but they clearly were impressed with their new digs. “It’s just a clean-looking park,” said Zimmerman the day before as the Nats were about to play the Orioles in an exhibition. “It’s kind of classy looking – not too flamboyant.” Several players and coaches on both teams saw similarities between Nationals Park and Philadelphia’s Citizens Bank Park. “It’s top-of-the-line. It’s exciting to come to work here every day,” Nationals Manager Manny Acta said. The Atlanta Braves, three seasons removed for a remarkable 14-year run as National League East champs, provided the opening night opposition. The Braves wore navy blue caps with a white “A” and navy blue jerseys with “Atlanta” in white script, the first change in their away uniforms since 1987. Before gates opened, the Braves had worked on cutoffs and relays in a full workout to get the feel of the new park. Bush was given a Braves jersey by a couple of Atlanta players who urged him to wear it onto the field. He told them he didn’t want to encourage Washington fans to boo him. “I’m not going to give them any excuses,” the president said. He wore a Nationals warmup jacket as he quickly made his way onto the field to a mixture of cheers and jeers. His pitch to Nats’ manager Manny Acta was high and outside. Tim Hudson, coming off a 16-win season, started for Atlanta. Journeyman Odalis Perez, whose ERA was 5.87 over the past two seasons, was Washington’s starter, an indication of how thin the Nationals’ starting pitching was. Perez threw the first pitch – a strike — at 8:21 p.m. Thousands of cameras flashed to catch the moment. A walk was all the Braves could muster in the top of the first. Cristian Guzman’s line drive single leading off for Washington was the first hit at Nationals Park. Hudson had Guzman picked off but threw the ball away, sending Guzman to third. Hudson struck out Lastings Milledge looking and Zimmerman swinging before Nick Johnson’s liner down the right-field line scored Guzman. Austin Kearns followed with a ground single to right that scored Johnson, giving the Nats a quick 2-0 lead. Johnson’s hit came in his first plate appearance since he badly fractured his leg in a collision with Kearns on Sept. 2, 1986. Perez made the lead hold up through his five innings. A solo homer by Chipper Jones produced the lone Atlanta run. Acta pinch hit for Perez in the bottom of the fifth. Hudson, meanwhile, became untouchable, retiring the last 19 batters he faced after the Kearns single. Still, he left trailing, 2-1. Jon Rauch, at 6-foot-11 the tallest pitcher in history, came in to try for the save in the ninth. The Nationals closer for the past three seasons, Chad Cordero, had what was described at the time as tendonitis in his shoulder, an injury that turned out to be much more serious. He would not record another save. With one out, Mark Teixeira just missed a homer off Rauch, doubling off the wall in right-center. A groundout moved pinch-runner Martin Prado to third. With a low brick wall behind home plate, “It’s definitely going to be hard to score from third,” on a wild pitch or passed ball, Nationals catcher Paul Lo Duca had said the day before. So, sure enough, with the Nats an out away, a ball that got through him for a passed ball, allowed the tying run to score. In his third full season, Zimmerman already was known as the Face of the Franchise. At 10:43 p.m., he hit a 1-0 pitch – another fastball — from right-hander Peter Moylan on a line a row deep into the left-center stands for his fourth career game-ending home run. After being mobbed by his teammates at home plate, Zimmerman came out of the dugout for a curtain call for the still-cheering fans. “I knew I hit it well but I didn’t know if it was high enough. I thought it might hit off the wall,” a happy Zimmerman told reporters. “I was talking to it a little bit on the way to first…. It turned out perfect.” As for his previous at-bats against Moylan, “I’ve never hit the ball out of the infield against that guy,” he said. The game-winner was Zimmerman’s fourth. He hit his first walk-off homer on Father’s Day, two seasons earlier. His parents were in the stands at Robert F. Kennedy Stadium. Before then, even in Little League, Zimmerman said, he had never ended a game with any kind of hit, nor had he done it in high school or in college. “No walk-off … No single. Nothing.” By March 30, 2008, it was becoming routine. The home-run ball was retrieved from the fan who caught it. Zimmerman traded a signed jersey for it. The cap Zimmerman wore was sent to Cooperstown for display with other significant Nationals’ memorabilia. Although the Nationals won two more games to start the season, 2008 quickly unraveled. The team lost 102 games, the first of three-straight seasons of 100 or more defeats. No one, however, can take away the thrill of that opening night. “That’s one I’ll never forget,” Zimmerman said. Barry Svrluga, “First Game at Nationals’ New Ballpark Is Set for March 30,” Washington Post, December 15, 2007: E2. In the original schedule, the Nationals were to open on the road against the Mets. The Red Sox and Athletics had played 2008’s first two games in Tokyo on March 25 and 26. Before the Senators left town, Washington and its opponent would open the American League season, usually with the president on hand, in D.C. a day before the other A.L. teams played. The Reds would open the N.L season the same day as the Senators. Michael Brick, “A Stadium, and With It a Season, Opens with Fanfare, New York Times, March 31, 2008: D6. Jeff Baker, “New ball park is a hit, Baltimore Sun, March 30, 2008: D6. Howard Fendrich, Associated Press, “Nats walk off with win on new field,” North Adams (Mass.) Transcript, March 31, 2008: B2. Associated Press, “Nationals’ Treasure,” Tribune Democrat (Johnstown, Pa.), March 31, 2008: 37. Associated Press, “Bush delivers ‘high heat’,” Port Arthur (Texas) News, March 31, 2008: B3. “Nationals Field Opens to Rave Reviews, US A Today, March 31, 2008: C5. Svrluga, “The Face of the Franchise Becomes the Hero of the Night,” Washington Post, March 31, 2008: E1. Thomas Boswell, “Finally, a Foundation Built for Winning,” Washington Post, March 31, 2008: E1.